Belmont Provo Utah Condos – Provo Utah are located at 332/364 N Seven Peaks Blvd 331-532 N Belmont Place Provo, UT 84606. 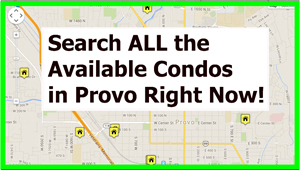 The Belmont Condos – Provo Utah are BYU approved for both Male and Female. BYU students enjoy the convenient location. If you live at the Belmont Condos you will probably need to have a car. The Belmont Condos are a little further from campus than most condo complexes in Provo. Construction on the Belmont Condos – Provo Utah started in 1999 and has 216 unit. Theses condos are FHA approved. 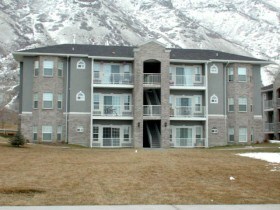 Belmont Condominiums is located just north of Seven-Peaks water park in Provo, UT. Just minutes from BYU campus, Belmont offers a luxurious atmosphere for students to live. Contact Paul Teasdale. Paul will prepare a 15 page free report for you will all the sold and active comparisons. This will give you a quick idea of the price range of your Belmont Condo. Also, Paul would be happy to come and view your Belmont condo and give you some feedback on showing and selling the condo. Are looking to buy a Belmont Condo in Provo Utah? Paul Teasdale would be happy to show you all the current condos for sale in Belmont and any other condos in the Provo UT area. If you are specifically looking for a BYU approved condo in Provo let us know. We can help match a condo for your student. Are you looking to Buy a Home in Provo Utah?